Thank you to everyone who attended the March 10 Community Parking District Advisory Board meeting. 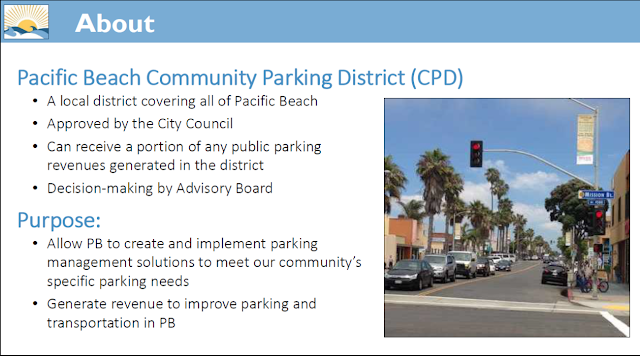 There were about 100 people who came to provide input and learn more about the Advisory Board's initial ideas for parking management in Pacific Beach. 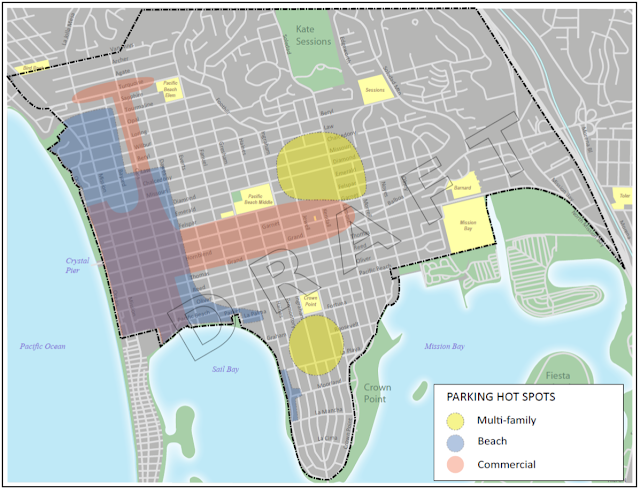 There were some attendees who spoke in support of the proposed strategies, acknowledging the importance of managing our scarce parking resources, and pointing out that parking meters could provide a good option for generating needed revenue for community enhancements. 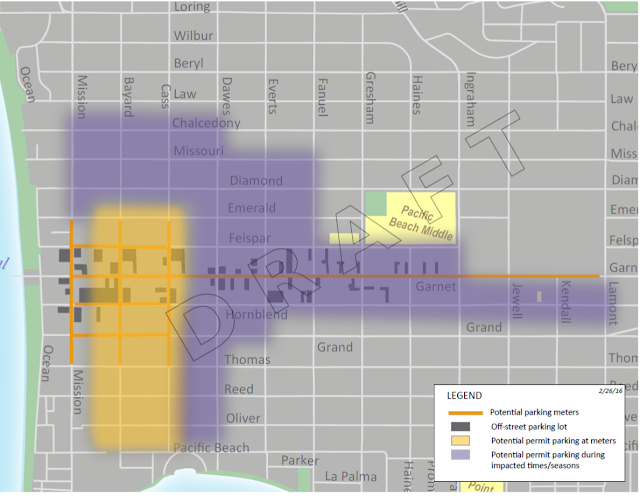 Here are some of the places where parking is most impacted in Pacific Beach. Are there other locations that should appear on this map? Add your ideas in the comments or bring them to the next Parking Advisory Board meeting.